Another good website to check out is www.road.is. It shows the current situation of the roads and the weather also. Information on road conditions is entered on the map from 7:00 – 22:00 and are displayed there almost immediately. Outside these hours, information remains unchanged and is erased at some point after midnight. Weather information comes from automatic weather stations and is therefore updated on a 24-hour basis. 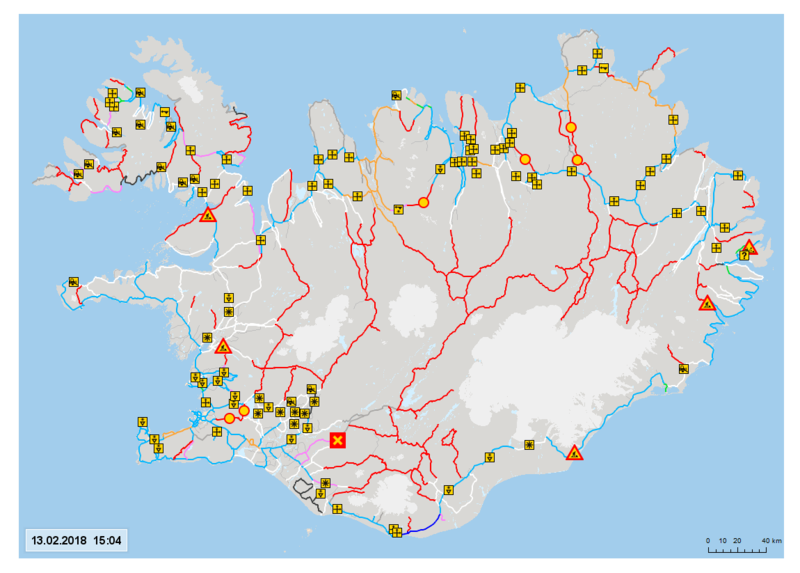 The Icelandic Road and Coastal Administration has made an app for travellers to use for their trips in Iceland. It shows the conditions of the roads, and the weather, wind gusts, web cameras etc. And it will pick out the shortest route. The app is free. It is available both for iPhones and Android phones. 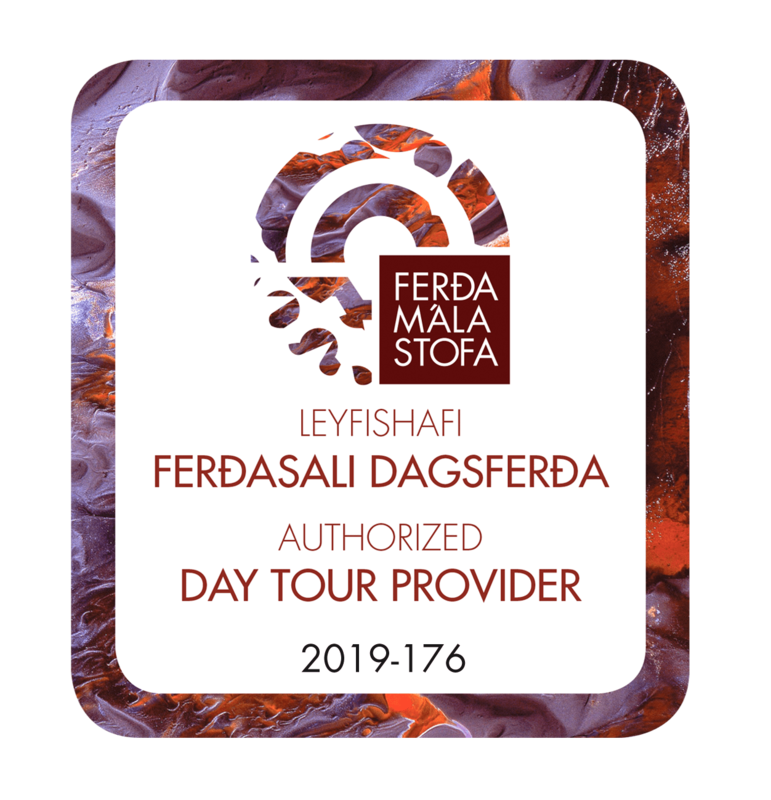 If you plan on travelling in the wilderness of Iceland you should always prepare your journey well and make sure someone knows about your travels. 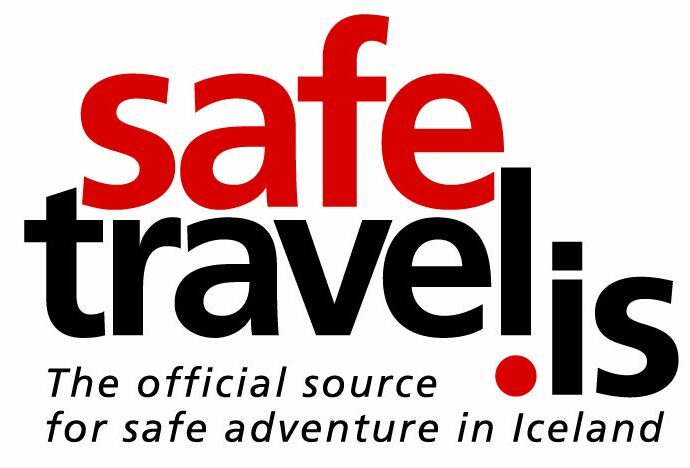 Check you Safetravels website for more information and learn more about what measures you can take at this website. The weather in Iceland can change with a short notice so it is helpful for tourists to follow the local weather. The Icelandic Met Office has a good website that you can use to check out the current weather situation. Weather forecasts and the current weather condition can be checked through a weather app provided by the Icelandic Meteorological Office. Get the weather app at Google Play Store or Apple App Store. Type VEDUR to find the app and install. Select language under Settings (Stillingar). 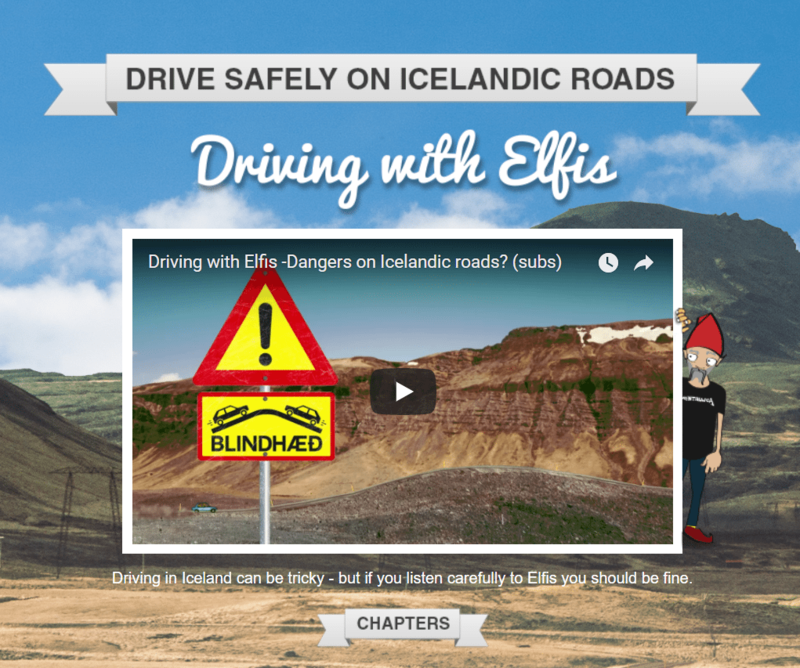 Learn how to drive in Iceland with Elfis. Visit his website where he has short but useful videos on driving in Iceland. “If you don’t like the weather right now, just wait five minutes,” people sometimes say in Iceland. 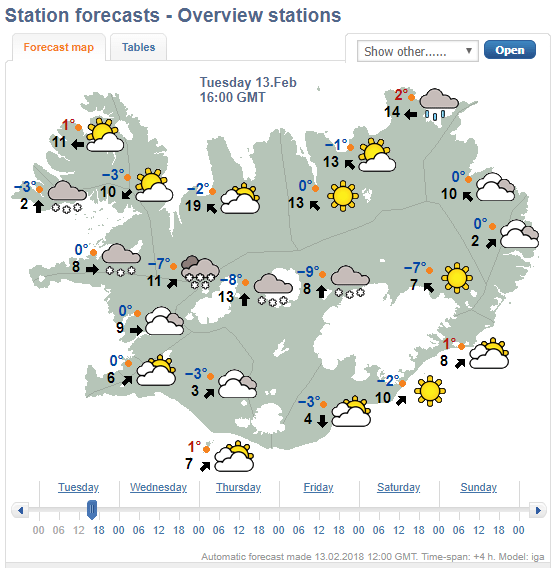 The weather in Iceland can change with a short notice so it is helpful for tourists to follow the local weather. This is an indication of the strong variability of the Icelandic climate, where one may occasionally experience the four seasons over a day. Driving around Iceland is one of the best ways to experience the wonders it has to offer. Driving conditions are usually very good from April to November but as winter settles the conditions can often be less than favorable. If you intend to drive in the highlands we strongly recommend the use of four wheel driven (4×4) vehicles, but keep in mind that all off-road driving is strictly prohibited as it can cause damage to fragile vegetation and can lead to hefty fines. Thanks to the warm Gulf Stream, Iceland is warmer than the name indicates. The summers are short but bright. The average daytime temperature around the coast during May to September is 10-12°C (50-55°F). A warm summer day would have temperatures around 20°C. In the winter the average temperature in plains and coasts is around the freezing point. This means that the temperatures can exceed 0 °C (32 °F) quite often even in winter, and rain instead of snow can fall. However, the weather is extremely changeable and unpredictable, so you should always be prepared for the unexpected. Average daily sunshine in July and August is 5-6 hours and during the summer months the nights are bright. On clear days you have 24 hours of daylight and even the midnight sun near the Arctic Circle. It is decidedly low in November to January.